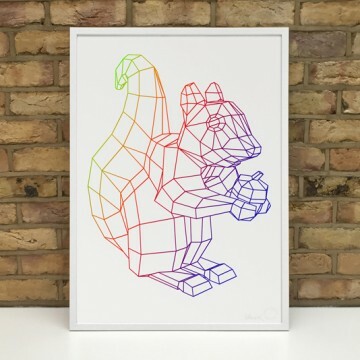 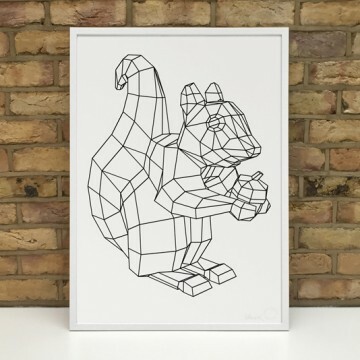 More A3 to A0-sized Stereohype squirrel mascot prints will be added frequently to this new series that was introduced by popular demand. Each squirrel motif and perspective will be available in varying sizes and facing left and/or right. 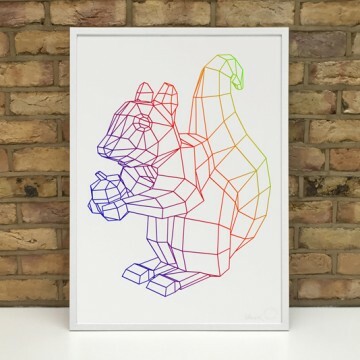 Update: Additional Stereohype squirrel mascots 2004–2018 have in the meantime been added to our button badge collection and also to our quickly expanding 8" x 10" Fine Art Print Edition called Button Badge Motif Prints.